Respiratory masks are essential protective device which are used by industrial workers, researchers, and engineers to protect themselves from gases and harmful chemicals. Aware of the inhospitable environments that they are subjected to, many industrialists have made it mandatory for workers to wear such masks while working within industrial settings. People working in construction sites or agriculture are often exposed to dust and fumes created by pesticides, fertilisers etc. Safety masks protect them from such harmful particles that are emitted. These respiratory masks also protect workers from asbestos which is used in many construction projects and cause mesothelioma, an incurable lung disease. Usage of safety masks is essential when working with such a substance. Professionals engaged in the automobile industry are exposed to toxic fumes, vapours, and gases. Usage of such masks helps users to stay in a perfect shape to discharge their duties with a high level of efficiency. People working in specific professions such as painters need a high level of protection. 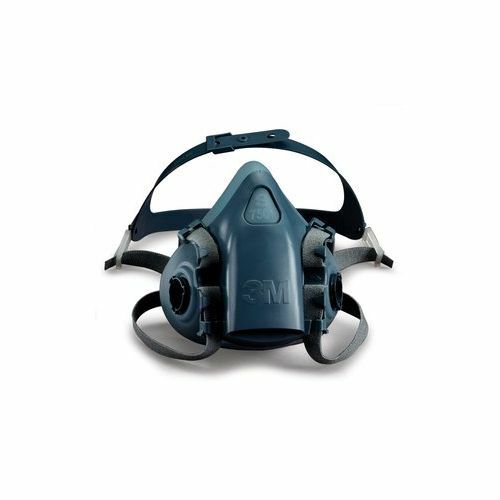 Therefore, respiratory masks are a vital protective device for people exposed to inhospitable working conditions. What are The Different Types of Respiratory Masks? Half face masks cover the nose and the mouth. However, they are wider in comparison to N95 versions. They offer extra protection to the cheek region and therefore help in the filtration of a wide range of chemicals. Wearers may need to use safety goggles while wearing this type of respiratory masks. Equipped with two filter cartridges they offer wearers with fresh air. Therefore, you are not likely to feel warm within or experience sweating. They are normally of the standard size and have a design which ensures comfortable fitting. Therefore, you don’t need to be size specific while looking for them. Half face masks of the best quality are the ones that come with filter cartridges which do not obstruct their view. The N95 masks are disposable. They are equipped with stiff fiber cover and cover the nose and area around the mouth. N95 masks enable wearers to breathe in clean air. However, it helps infiltration of chemicals. To ensure comfort, they are equipped with a metal band on the nose’s bridge area. It is bendable and therefore can be easily adjusted. 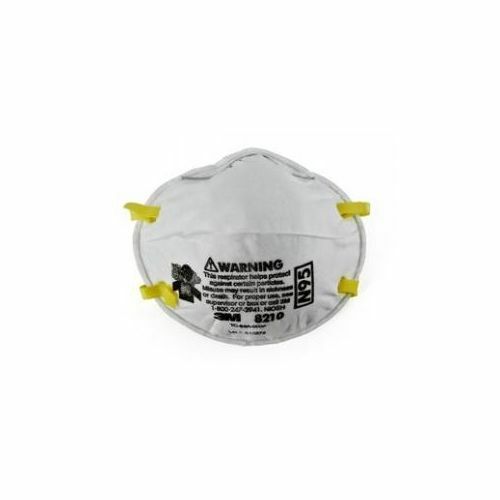 These n95 masks are highly suitable for usage in dusting, bagging, sweeping etc. If you are allergic to Latex, you should opt for hypoallergenic masks. People with long hair should opt for masks that come with gentle head straps. Full face masks as per their name offer a full-face protection which is essential for professionals who have to work with hazardous substances close to their eye. Therefore, you won’t need to use safety goggles because these masks already come with in-built goggles. There are two versions of full face respirators-mechanical and electrical. The latter are also called supplied air respirators and are mostly used by professionals engaged in industries such as oil & gas and petrochemicals. However, keep one thing in mind. Inadequate sealing of the mask’s respiratory nose cup may cause lens fogging. Therefore, you will need to ensure that the model which you buy does not have such an issue. Surgical masks are normally used by dentists and surgeons. These masks are disposable and have a thin fabric layer which covers the region around the nose and face. The mask is designed to offer a high level of protection against the spread of germs and outbreak of biological fluids. How to Select Respiratory Masks? To choose the best quality of dust masks online, a clear idea about existing models is essential. Even the very best respirators with latest features may fail to address your concerns if they are not designed for them. Once you get a clear result from your testing assessment, selecting an air mask will be significantly easier for you. A proper understanding of the various types of gas, particulate filters, and cartridges can help you to select the exact one. You can go through NIOSH categories and labels to select a proper one that suits your mask perfectly. Oil Mist Resistance- This is signified by the usage of letters N, R or P.
R- Class filter can resist oil but they prove to be effective against oil mists for only eight hours. N-class filters, however, are not resistant to oil. P-class filters are oil proof and come with time limitations which are specified by the manufacturer. Filtration Efficiency- Filters come with a rating of 95, 99 or 100. Therefore, when handled with care, they ca help users to filter up to 99.97% of airborne particles. In the case of PAPR filters, there is a single particulate classification called HEPA (High Efficiency Particulate Air) filter which offers up to 99.97% filtration for all particulates. Gas And Vapour Cartridges- In the case of gas & vapour cartridges, NIOSH’s colour coding system will enable you to have a correct idea of the equipment for a particular equipment. Cartridges meant for usage in case of ammonia or methylamine come with a green label. The ones that are equipped with a yellow label, on the other hand, are meant for organic vapours and acid gases. The ones that are meant for usage in solvents like points come with a black label. The cartridges which are meant for usage with acid gases like chlorine and sulphur dioxide have a white label. Mask selection will be based on whether your work premises are vulnerable to a gas or vapour hazard (chlorine gas or solvent vapour), particulate hazards or both. Usually, cartridges offer protection against gas and vapours while filters offer protection against particulate hazards. In case your workplace has both types of hazards, then you can opt for combination cartridges as they will mesh out gas or vapours as well as particles. The exposure level testing should include exposure levels for the substances which have been used in the testing. Usually, the results are measured in parts per million (ppm) or milligrams per cubic meter of air. To find out if any necessary action is required as per law, compare the existing to the Occupational Exposure Limit (OEL) or Permissible Exposure Limit (PEL) levels mentioned by Occupational Safety and Health Administration (OSHA). In case the employee exposure levels are below OEL, then as per law respirators won’t be required. However, you can keep them for usage during emergencies. In case the levels are above the limit, try to bring down the exposure levels either through engineering or administrative controls. In case you cannot enforce these measures, opt for respiratory protection which enables you to minimise the exposure level to the point acceptable as per OSHA’s recommendations. At present, OSHA only allows companies to use masks that are approved by National Institute for Occupational Safety and Health (NIOSH). All the masks that come with an NIOSH approval have an Assigned Protection Factor (APF) which normally measures between 10 to 10,000. APF is regarded as the workplace level of respiratory protection that any mask can provide once a business owner implements a long-term, workable respiratory protection programme. After you get to know the exact APF, you can be selective about mask models which can minimise the exposure below OEL. 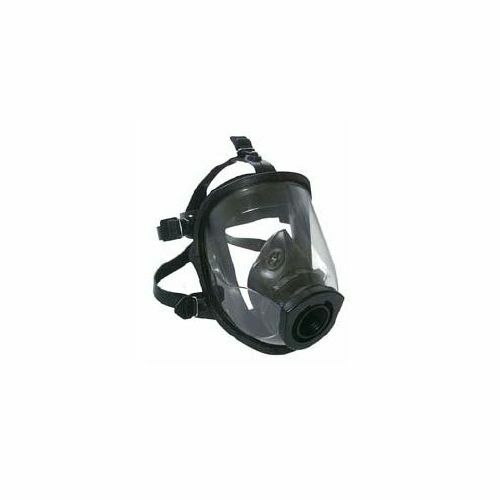 OSHA has specified APFs for various types of respiratory masks. Apart from selecting equipment which can withstand the hazard levels of your plant, you also need to check its compatibility with other types of protective devices like safety glasses. You face issues wearing goggles and half face respirators simultaneously since they cover the bridge of the nose. Therefore, it’s essential to look for a mask which has a perfect fitting without disturbing the area around the goggles. Comfort & workability are two other important factors that you will need to keep in mind. Lightweight masks are ideal for work that requires a lot of toil. Face shapes and sizes of people tend to vary. Therefore, you may have to select the mask models according to sizes to ensure that your workers acquire masks with a good fitting. How to Maintain Respiratory Masks? It doesn’t require too much of an effort to take care of your safety mask. However, it can have a great impact on your overall health and safety. The lack of periodic cleaning can cause the growth of grime over a period of time. In case you are working in industrial settings, then you will need to make sure that the residues are cleaned at least once in a week. Make sure that your hands are clean before you start cleaning your respirator. Then disassemble the respiratory mask. If you haven’t done that before, go through the instructions mentioned in the mask. But be careful that the seals do not get lost. It’s wise not to wash the cartridges. If your mask’s cartridges have rigid exteriors, then you can wipe off the dirt. But make it a point to place them on the side while you are washing. Then wash the front part of your mask with warm water and disinfectant soap. Check whether the mask producer has specified any brands or not. There are certain brands that deal in individually wrapped max cleaning wipes that are ideal for instant cleaning. Cleaning kits are also a viable option that you can consider using if you are cleaning on a regular basis. After you have cleaned all parts of the mask, air dry it before you reassemble it. Another vital aspect which you will need to be aware of is the proper storage of your mask and cartridges. Exposure to dust, sunlight, exposure to extremes of temperature and chemicals can adversely impact the durability of a mask. One wise way to store cartridges is to remove them each time after usage and keep them in a zip-lock bag. 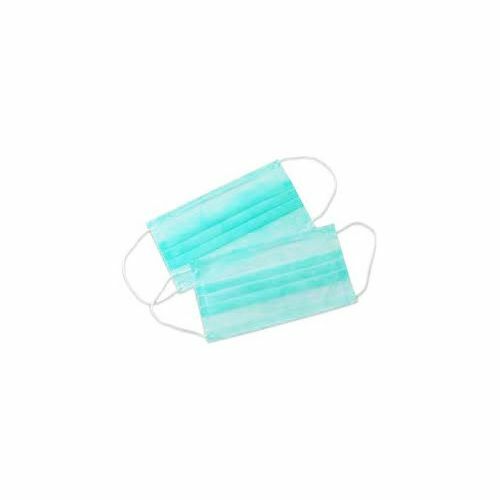 In the case of half face masks, gallon sized bags are the best option as you won’t need to take off the cartridges. To keep your safety mask in the perfect working condition, keep the mask away from your workplace and chemicals. Safety masks need to be kept in areas which are not contaminated with clothes you wear at the workplace. The place where you store them needs to be highly convenient. The masks which are yet to cleaned or repaired need to kept separately. The maintenance procedure needs to include proper cleaning, disinfection, examination, repair, record keeping and testing. Following manufacturer’s instructions for cleaning and disinfection will make it easier for you to maintain the mask. Check whether the mask offers a proper fitting. Mask manufacturers often provide instructions on pre-fit use which can prove to be handy. How are Respiratory Masks Different from Other Types of Masks? Comfort masks are not designed for protecting the wearer’s lungs from airborne hazards. Neither do they come with NIOSH approval and N95 approval. They cannot be used as surgical masks. They do not have a tight fitting and therefore do not fit the gap close to the edges. Particulate respirators, on the other hand, help in the filtration from the air and thereby reduce the germ intake of the wearer. The particular respirators have N95 approval from NIOSH. They are also compliant with the OSHA standards. Equipped with two head strings, they have a tight fitting and an adjustable clip over nose which makes the wearer feel comfortable. Surgical masks do not require an approval from NIOSH and are meant for specific usage after which they are disposed of. They help in preventing particles like mucous and spit from entering the atmosphere. However, they do not have a tight fit and therefore often leave gaps on the edges. What are the Protective Measures or Limitations When Using Respirators? Each type of respiratory mask is made from different components. Therefore, their drawbacks, restrictions, and protective measures tend to vary. Masks that have a tight fitting need to clear fit testing so as to confirm to adequate fitting. They are not suitable for people who have facial hair. There are specific escape respirators which come with a nose clip & mouthpiece. There are a number of respiratory masks which restrain the user from talking while some models come with speaking diaphragms. Apart from regular cleaning and decontamination, proper training is essential for workers to handle these masks with expertise. Practicing on one’s own can prove to be useful. There are a few models that are available as a package and need to be sealed till usage. So, you should look for the ones that are suitable for practice. Training is vital for ensuring efficient handling of respirators. What Are The Leading Brands Of Respiratory Tasks? 3M, Venus, Magnum and Globus are some of the most popular brands of respiratory masks in India. 3M particulate respirators are widely used in industrial settings because of their anti-pollutant nature and their ability to filtrate dust. It comes with a metallic fit which ensures good fitting. They have a lightweight construction and therefore can be worn over a long span of time. The Venus respiratory masks are sewn with double adjustable elastic and cause no leakage, puncture or filter. They have a snug fit and therefore apply no pressure. They fit people with different types of face shapes, are skin friendly and have high durability. They can retain their shape under high temperature and are therefore suitable for outdoor use also. Globus dust masks are widely used in industries such as metallurgy, real estate and come with an activated carbo layer and cushioned nose clip. They are generally worn by using a self-tightening clip. So, they are widely used by people who are exposed to dust particles on a regular basis such as warehouses, construction sites, industrial plants, oil rigs etc. Why Buy Respiratory Masks From Moglix? At Moglix, we offer a vast collection of respiratory masks created by leading brands such as 3M, Venus, Globus, and Magnum etc. From half face and full face masks to surgical masks, we have a wide range for you to choose from. The masks sourced by us have been created in compliance with existing industrial safety standards in India. The price range of these respiratory masks has been devised to suit the budget of buyers from all walks of life such as researchers, engineers, doctors and industrial workers. We also offer lucrative discounts on these products. Therefore, you can acquire these respiratory masks online without spending a huge sum of money.